We’re two brothers and Chicago natives raised in a Polish household of amazing cooks. 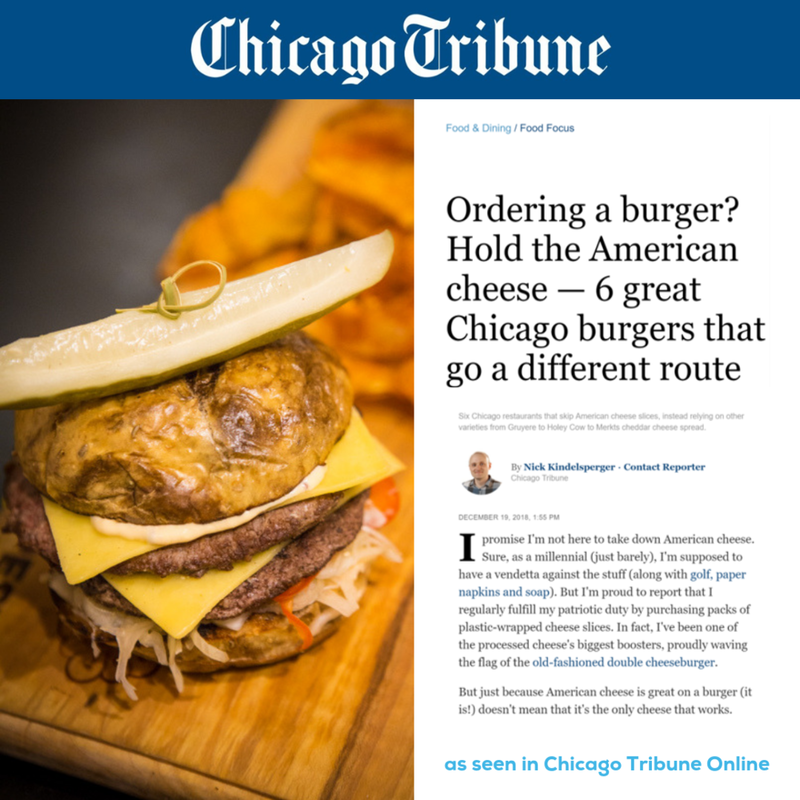 We embrace our heritage and love of Central-European gastronomy, combining them with our culinary curiosity and experience to elevate & reimagine the amazing cuisine from this region. 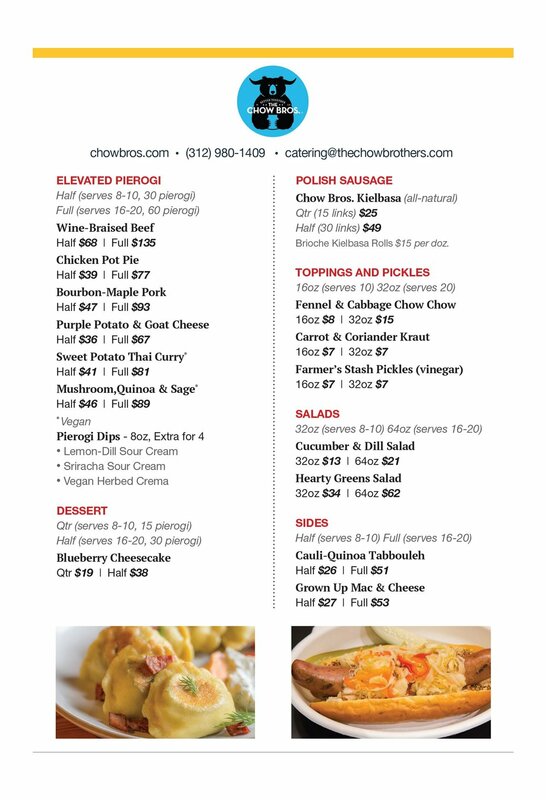 People rave about our gourmet Pierogi, Pickles, All-Natural Kielbasa and Elevated Polish Classics. We use old school techniques of natural pickling, fermentation, brewing, and braising to bring big, bold flavors to every bite. We want you to rethink what you may or may not know about Polish and Central European gastronomy. You’re a friend at our table and our promise is to make your dining experience adventurous and our food approachable. embrace Your Love of Dumplings! We've reimagined the pierogi with new,exciting flavors and in a way that is less-heavy than traditional varieties. We were obsessed with creating a dough that is light and melts in your mouth while still being true to our Babcia’s (grandmother's) lessons -giving you more filling than dough and creating that satisfying FLAVOR BOMB in your mouth without that weighed-down feeling. All our pierogi dough is made with non-GMO flour and is 100% vegan -allowing us to serve more people our delicious dumplings. Our goal is to make pickled and fermented "that thing" you need in your belly. We make all of our pickled and fermented foods from recipes passed down through generations -adding a little of our own signature to create some new flavors to tease and awaken your taste buds. 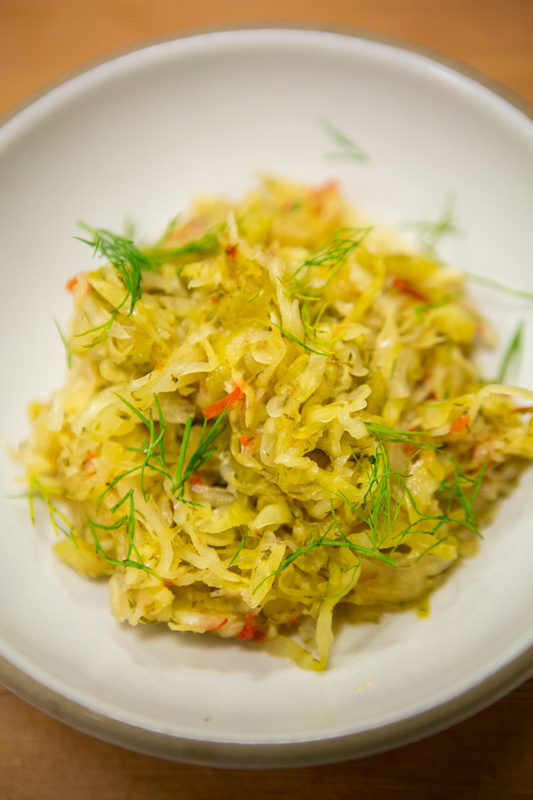 The natural goodness of our Sour Polish Dills and Sauerkrauts is packed with healthy pro-biotics that are good for you. Besides the amazing flavor, your doing you belly a solid.